Wow! 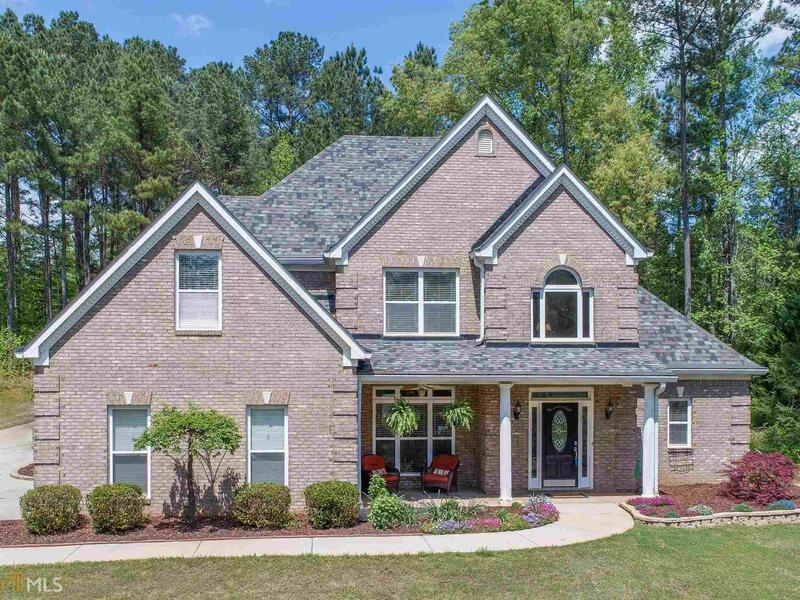 5BR/3BA brick beauty in Lake Dow North! Ola Schools! Interior features arch doorways, two-story foyer & family room, formal dining, gorgeous eat-in kitchen w/ stone bksplash, granite tops, stainless appliances, pantry & breakfast bar. Master BR & guest suite w/ full BA on main level. Master features dbl trey ceiling & sitting area, jetted tub w/ stone accents, sep shower, dual vanities & walk-in closet. Upstairs you will find 3 more BR & another full BA, secondary BR&apos;s have walk-in closets & one has additional reading nook. Hardwood & Tile floors throughout home-no carpet! Exterior features enlarged patio area w/ outdoor kitchen & covered patio w/ fans, wired for surround sound and TV. Gorgeous landscaping w/ irrigation Roof & gutters only 3 years old!